Boil a large pot of water, boil sweet potatoes for about 20 minutes, or until tender. Drain and mash sweet potatoes, mash together all ingredients until well mixed. Transfer mash into a casserole dish and top with Maple Pecan Topping. Bake for 30 minutes. Check to ensure nuts do not burn, if they brown too quickly cover with tin foil. 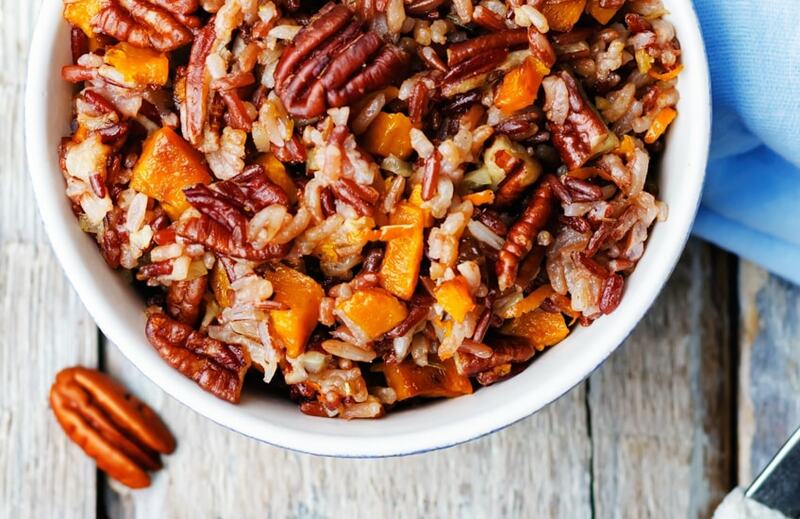 Want more healthy Thanksgiving recipes? Peep what’s cookin’ in our kitchen this week.